Since several leading universities in Japan have already exchanged MOUs with JNU and many research collaborations are going on between them, the current situation at JNU concerns us immensely. Many of our Japanese colleagues working on South Asia have greatly benefited from high-standard, liberal, open-minded, academic research and teaching environment of JNU for so many years. 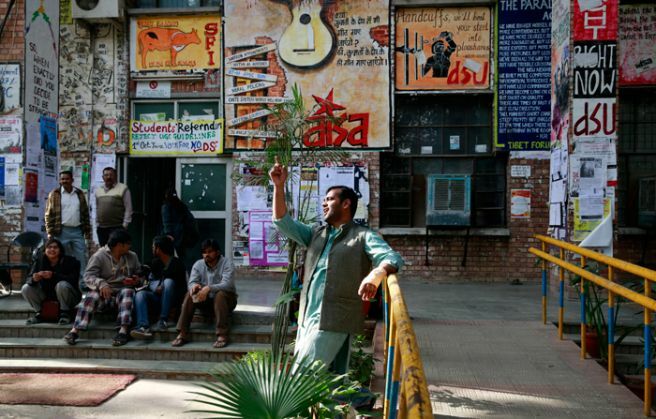 It is therefore painful to watch how freedom of expression and autonomy of university has been largely undermined at JNU. JNU has recently given honorary doctorate to our current Prime Minister Shinzo Abe. We would like to quote his speech at JNU to express our concerns and hope for the future of JNU. "India is a country with a population of over 1.2 billion people. It is a country that respects freedom and democracy amidst diversity, and upholds human rights and the rule of law. The public and private sectors of Japan will work together and cooperate for the development of India. It is decisively important for the benefit of Asia and the world in the 21st century that Japan and India, as countries sharing fundamental values, cooperate even more closely in every field." We do hope that we will continue to share fundamental values of freedom and democracy. We, the undersigned members from various educational, research and teaching institutions in Japan are deeply concerned and disturbed by the recent situation in Jawaharlal Nehru University. As a premier institution of learning in the world, JNU has made very significant contributions to teaching and research. It has research collaborations with academic institutions all over the world, and is celebrated as an important and vibrant space for critical thinking and democratic expression. Unfortunately in consequence of recent events these values, collaborations, and the reputation of Jawaharlal Nehru University appear to be under threat. In this difficult hour, we request the Indian government to uphold the freedom of speech that is essential to any national institution of Higher Education and ask that they endeavour to ensure the continued autonomy and functioning of the University.